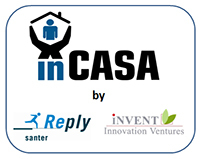 This document aims to analyze the user requirements both from a functional and non-functional point of view and provide the functional and system specifications for the inCASA platform. It is based on the outcome of WP2 and mainly on the D2.2 Requirements Consolidation and Prioritisation Iteration 1. Moreover, in this document it is presented the inCASA basic architecture which will support the inCASA platform and its building blocks. For every building block, there is an analysis of functional and non-functional specifications.